"Great Falls, Montana. Return after 3 wks Vacation. June 27, 1964." 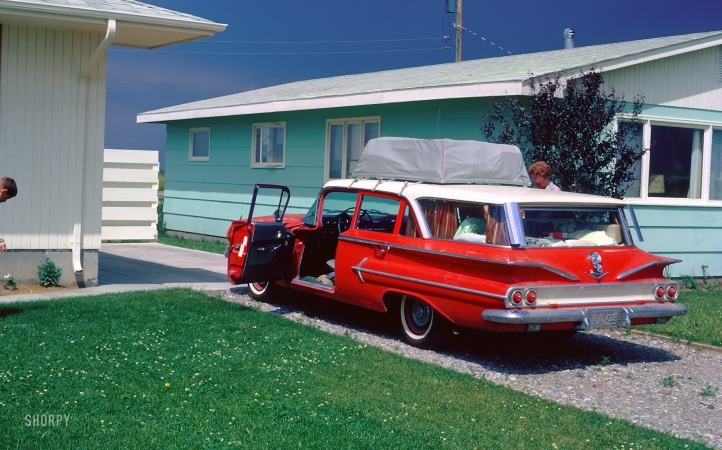 35mm Kodachrome transparency from a found box of vacation slides.